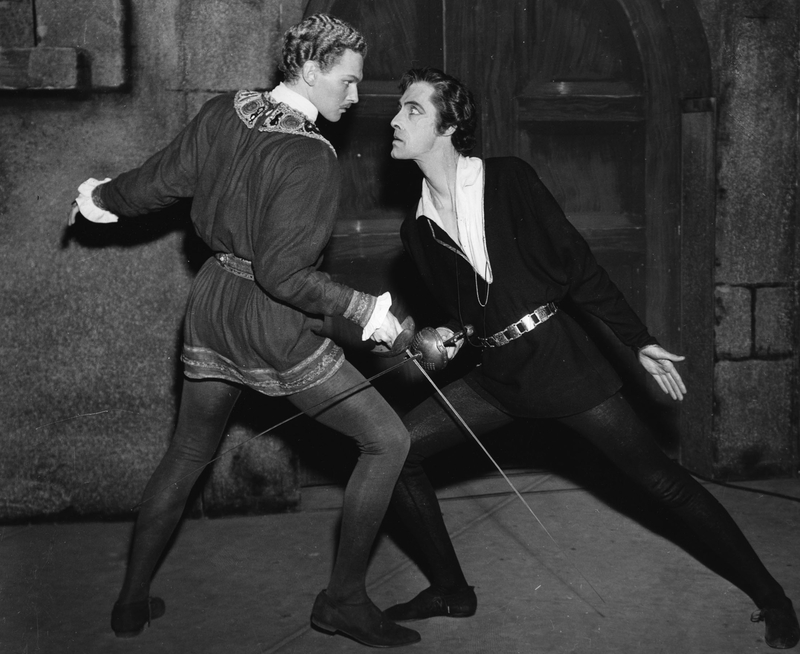 The Center's Hamlet file contains photographic documentation of productions from over a century of American theatrical productions of Shakespeare's play. Like Leslie Howard, John Carradine remained active on the stage. 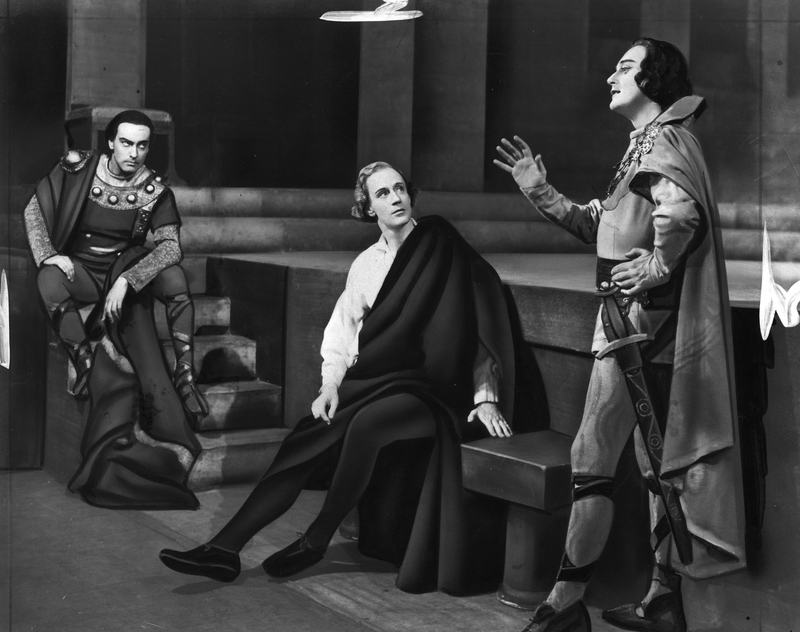 During the 1940s, Carradine was known for touring Shakespeare productions. 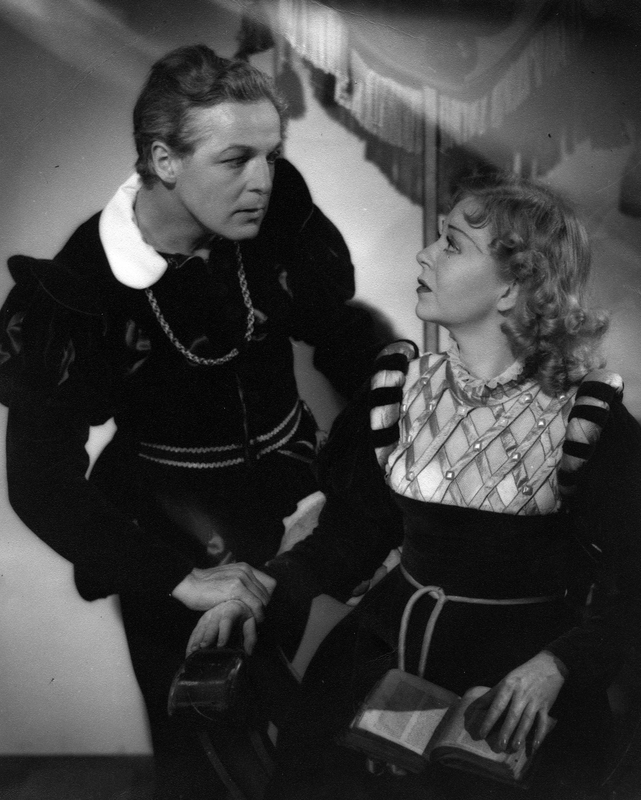 Carradine's 1943 Hamlet, from which this still was likely taken, was staged at the Pasadena Playhouse. Carradine was credited with artistic direction; Carlo Caiata with décor. Katherine Von Blon of the Los Angeles Times described Carradine’s performance as follows: “John Carradine, as the Melancholy Dane, painted a poignant and tragic picture of the lonely introspective youth, beset with so many conflicting emotions. He somehow seemed to stress the piercing medieval note of doom in his moving revelation of the pathos and travail of the human soul. The one flaw in his performance was noted in his voice, which in certain passages rang with fine resonance, and in others rendered the text more or less obscure." 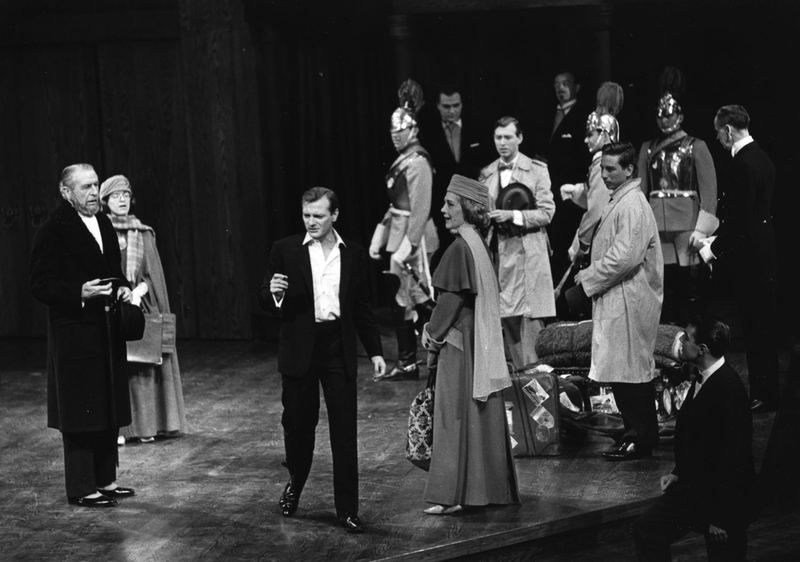 "Theatrical Johnny Appleseed" Tyrone Guthrie founded the Tyrone Guthrie Theater (home to the Minnesota Theater Company) in 1963. Built for a cost of more than $2 million dollars, the Tyrone Guthrie combined traditional Elizabethan theater-in-theround with stunning modern architecture. 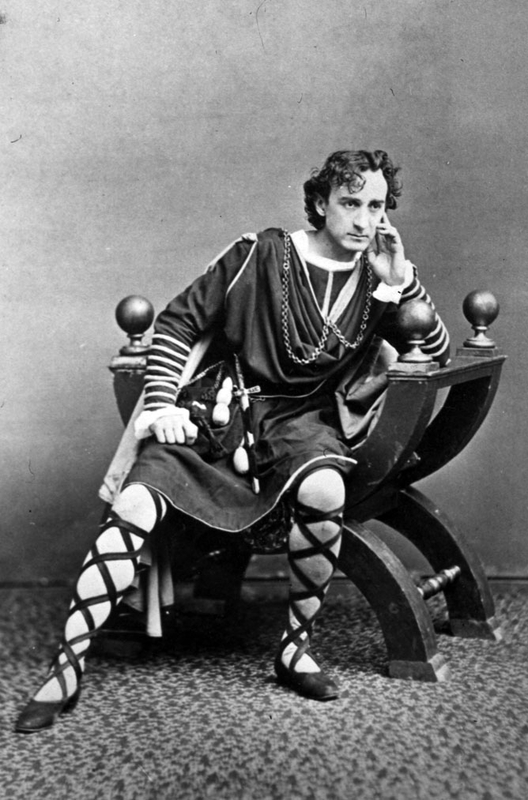 Guthrie, known for "gimmicky" direction, selected Hamlet as the opening play for his new theater, and dressed his cast, headed by George Grizzard, in modern duds. Many reviewers were dubious of the choice (a critic for the Associated Press positively lambasted the production), but Howard Taubman of the New York Times recognized its importance. 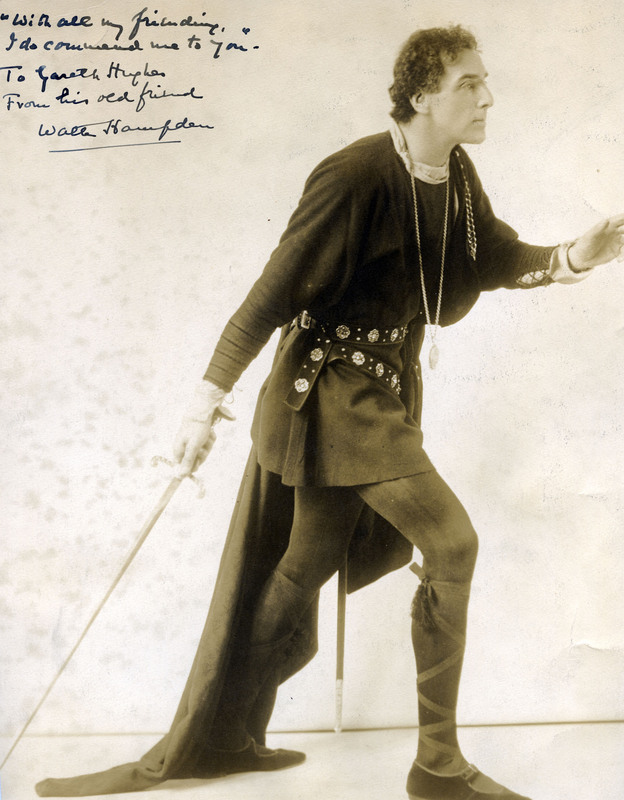 Though he found that “Laertes with a belt and holster over his trenchcoat looks like a spoof of private-eye fiction,” Taubman reflected that “Mr. Guthrie’s theatrical imagination is never at rest," and applauded the birth of a Midwestern center for innovative theater.